Acceptablesubmitted by Hannah M. - Apr 15, 2019 |Recommended: NoThe location is stunning, the interior is pleasing, and parking is always available. Unfortunately, that's about as far as my good review goes. It's incredibly expensive, there's always lights and noise, I don't have an oven, half of the public machines washing, drying, treadmills, etc. are broken, the staff is too friendly please don't talk to me and they don't know how to do basic things like replace a smoke detector battery, the other residents are very loud and messy, fire drills are the absolute worst things ever and I hate them, maintenance just comes into my apartment without letting me know first, the lobby area is always a frightening commotion of noise overwhelming for people with sensory issues like myself , there's so many unnecessary lights on outside, I was originally placed with three people that I had nothing in common with not even a language , and my bedroom door is very squeaky. Awesome, comfortablesubmitted by Kenny R. - Mar 29, 2019 |Recommended: YesIt's a whole new experience. Great service. I do enjoy living heresubmitted by Danielle C. - Mar 28, 2019 |Recommended: YesLiving here has been a pleasure at night the parking is a little hard to find but overall its great. Nice viewssubmitted by Shayla A. - Mar 26, 2019 |Recommended: YesThe apartment and view is very nice. The leasing manger doesn’t respond to messages much. Bayview is gorgeoussubmitted by Michael W. - Feb 04, 2019 |Recommended: YesEverything at Bayview is wonderful, except for the fact that I was placed in an apartment with a pre-existing ant infestation. The property is beautiful. The rooms are meant for a College student.submitted by Elijah M. - Jan 19, 2019 |Recommended: YesThe staff of Bayview make residents feel welcomed. Any issue or concern is addressed and answered in a timely- professional manner. The building's appearance and landscape create a sense of peace and comfort for students at the best. I think the property is great, always clean, and always take care of the residences.submitted by Amoin Y. - Jan 15, 2019 |Recommended: Yesit is a nice place to live and go to school. It's open and very prettysubmitted by Monica E. - Jan 04, 2019 |Recommended: YesIt's very homey. The rooms are set up nicely. It's overwhelming sometimessubmitted by Justin W. - Jan 02, 2019 |Recommended: Yesits enjoyable being here, the special events held from time to time are main thing reminds me take advantage of the many amenities. It is a nice place to live.submitted by Yu-Ching L. - Dec 25, 2018 |Recommended: Yesthere are a lot of events in the Bayview to meet new friends and the environment is good. It's pretty amazing for the pricesubmitted by Chante M. - Dec 21, 2018 |Recommended: YesI would tell them that it is like living in a hotel. 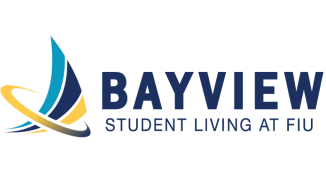 Great and comfortable living space for students.submitted by Deirdre M. - Dec 20, 2018 |Recommended: YesI really enjoy living at Bayview. The apartments are slick and modern. Possession of pets, other than fish in a maximum tank size of ten gallons is prohibited. Feeding of stray or wild animals in the housing area and its surroundings is prohibited.